San Jose, California – March 31, 2019. Key Housing, the leader in helping corporate travelers to find corporate housing in California’s tightest markets such as San Francisco, Oakland, and San Jose, is proud to announce that the San Francisco corporate housing complex, “Channel Mission Bay,” has secured the featured listing category. This makes it, along with the ‘Verdant’ complex in San Jose,an unusual “dual winner” for the month, even though traditionally the company has chosen a NorCal and SoCal designee. The move also is in tandem with updates to the informational page for “Channel Mission Bay” on the Key Housing website. Interested persons can view the newly updated page on San Francisco furnished rentals and the “Channel Mission Bay” complex at http://www.keyhousing.com/rightside.asp?action=form3&ID=732. A complete set of listings can also be found at http://www.keyhousing.com/rightside.asp?location=San%20Francisco, and persons who want to dig into tips and secrets are referred to the company’s lively blog at http://blog.keyhousing.com/. Any person who is seeking short term housing in Northern California is urged to plan out months in advance and to reach out to one of the Key Housing specialists to begin his or her search. The Northern California market is one of the tightest in the nation, subject to high prices and substantial challenges in availabilities. Here is background on this release. Each month, Key Housing helps draw the attention of its clients and readership to key listings throughout California. While it may be easy to find short term housing in Bakersfield (http://www.keyhousing.com/rightside.asp?location=bakersfield), it is decidedly not so in Northern California’s two largest cities, San Jose and San Francisco. Separated by less than fifty miles, the two cities are culturally distinct. San Jose is the more workaday city, the so-called capital of Silicon Valley, with a larger population yet a decidedly less pronounced cultural scene. San Francisco has a smaller population, but one can be excused for not knowing that as the city exerts a disproportionate cultural, political, and economic impact on the state. But both cities have one terrible flaw in common: a terrific housing shortage. 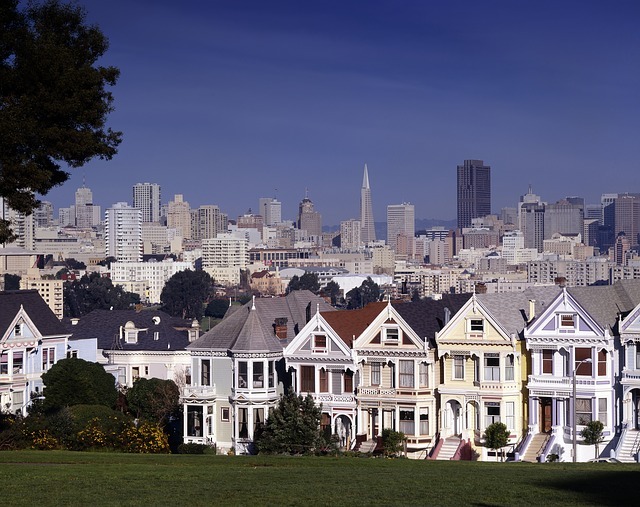 Corporate travelers coming to the booming Bay Area economy unprepared are in for a rude awakening when they search for short term housing willy nilly. They may literally be unable to find anything, or should they find something, they may have to pay extraordinary pricing. For these reasons, Key Housing is announcing that it has “doubled up” for April by choosing two NorCal “hidden gems” as its featured complex winners for the month. Based in Folsom, California, Key Housing Connections Inc. specializes in corporate housing and serviced apartments in large cities like San Francisco, Los Angeles or San Diego as well as smaller cities like Fresno, Burbank, and Carlsbad. Key Housing is a leader in affordable, friendly, short-term and corporate housing in places like Bakersfield, Encinitas, Hermosa Beach, and just about every city in California. Whether it’s a San Diego serviced apartment or a San Francisco furnished rental, just search, click or call today! This entry was posted in Press Releases and tagged Bay Area Corporate Rentals, Corporate Rental, San Francisco Corporate Housing on March 31, 2019 by Lee McDonald.